Do you want to know how wishes come true? Then read The Wishing Year. It’s a book that beautifully illuminates the art and mystery of wishing— and it does so in a way that is inspiring, funny, serious, honest, heartfelt, and irresistibly readable. 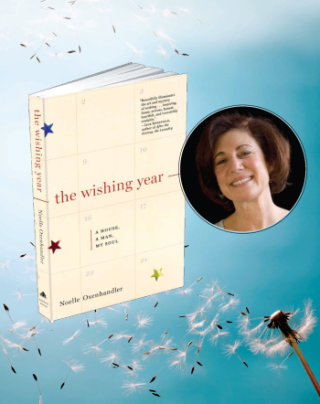 This is a wonderful book, full of wisdom gleaned from a year of Noelle Oxenhandler’s daring to embrace what she had previously denied herself—her own personal wishes. I highly recommend The Wishing Year for anyone wanting to learn more about what life has to offer when we pay attention to our heart’s desires.